The way in which people join Café Reason is an organic, rather than a formal one. New dancers are absorbed into the company by becoming regular attendees at class and (usually subsequently) by developing and performing work with us and contributing to our projects. The point at which someone is ready to perform depends on their level of experience and growth (and enthusiasm for lunatic adventures) and also on what we are trying to do at the time. Some Café Reason members have been involved since the very beginning, some are newcomers, while others may have not danced with us recently but have a long-standing association with the group. Each person brings to the mix their unique life-history, body-form, and artistic contribution. We also work with many 'associated artists' – musicians, singers, photographers, film-makers, and visual artists – and these creative relationships enrich all our endeavours. 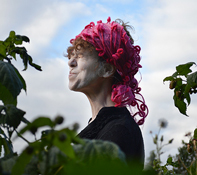 Jeannie Donald-McKim founded Café Reason after returning from studying butoh in Japan, and conceived, choreographed, and directed most of their major work until 2018, when she retired from the group. "For me, butoh is a way of approaching images and emotions that lie very deep, of exploring the territory between inner and outer worlds and expressing the essence of the shifting boundaries." She is a practising dance therapist. Ayala Kingsley is a founding member of Café Reason. She graduated from the Central School of Art & Design, London in 1976 and is a graphic designer and poet. Although she studied ballet as a child, Ayala came to butoh through Shintaido, the innovative Japanese movement system with its roots in the martial arts, which she practised for 9 years. "Butoh allows me to discover, distil and reveal the essential truth of inner experience and give it honest, meaningful and playful expression." Fabrizia Verrecchia began her love for dance at the age of eight, attending Indian classical dance classes. She has studied with the Academy of Indian Dance, currently performing and giving demonstrations. She runs regular workshops and classes in Bharatanatyam and yoga. One of the original members of the group, Fabrizia has performed with Café Reason from the beginning. 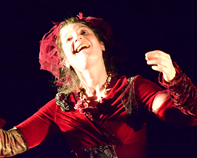 Ana Barbour joined Café Reason in 1999 and became a core member of the group, sharing teaching, choreography, and direction. A creative innovator and extraordinary dancer, she specialised in improvisation, site-specific work, cross-art-form collaboration and dance film. Ana passed away on 6 November 2017, an irreplaceable loss to all who knew and loved her. She will always be our guiding light and lives on in the dance inside us all (JD-M). A page of this website will, in due course, be dedicated to her work and memory. 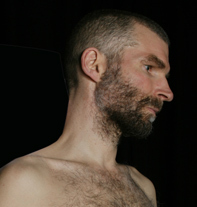 Paul Mackilligin has been practising butoh with Café Reason since 2001. His main artistic interest lies in the interaction between performer and audience. "Butoh dance gives me a context for intimacy with an audience which is quite unique I think. On good days I leave my personality behind - like taking off an overcoat or peeling off a skin - and what I find underneath is a thing that the audience recognises even if they have no words for it. Butoh is not a polite thing to do to an audience, but it is an act of solidarity." Cath Blackfeather joined Café Reason in 2014. 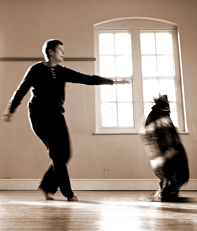 She has no formal training but over 25 years’ experience working in movement and expressive arts in social and therapeutic contexts. She has always been interested in the more abstract and avant-garde aspects of contemporary dance and physical theatre. "I see Butoh as both a delving deep within myself to find the roots of movement and allowing myself to be permeable to outside, intangible forces that can manifest through me. I was once asked, during a class, to feel myself moving into an infinite space with all past human history behind me and moving through me. To me, that is the perfect expression of what Butoh is all about."